I wonder what you thought when you saw the title of this post – “Oh cool!”, “Ehm, what?” or even “Gross!”? My mission here is to at least pique your interest, because I definitely think sewing your own cloth pads is cool! I’ve been using them for a couple of years now, but I admit that when I first heard of them, my response was a raised eyebrow. You probably have many questions about them, as I had then, so I’ll do my best to answer them here! First off, cloth pads are, as the name says, menstrual pads or sanitary pads made of cloth instead of plastic as you buy them in the store. They are reusable: you don’t throw them away after use. You wash them with your regular laundry and they can be used for a long time. 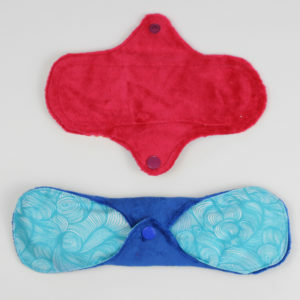 They come in different sizes and with different cores, to best cater to the days of your period. You can buy them made (just search for ‘cloth pads’ on Etsy) or you can make them yourself. When you use the right materials, they do not leak through. They can be used day and night, on days of lighter and heavier flow, and as liners in between periods. 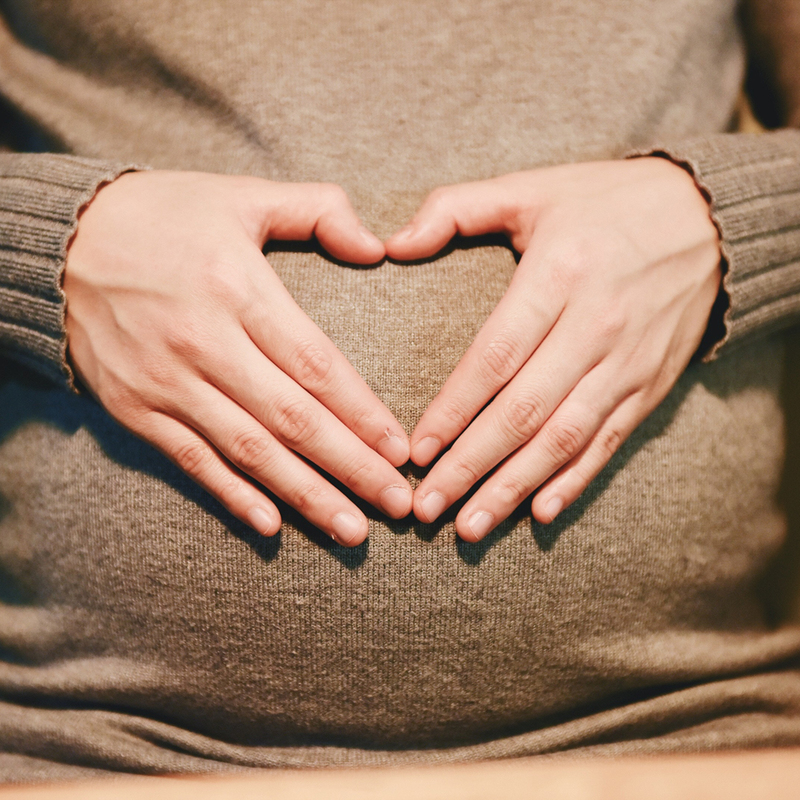 They are also great for pregnancy, since one of the symptoms you can have is more vaginal discharge. Plus they are great to catch those urine leaks when you sneeze and have a baby pressing down on your bladder. 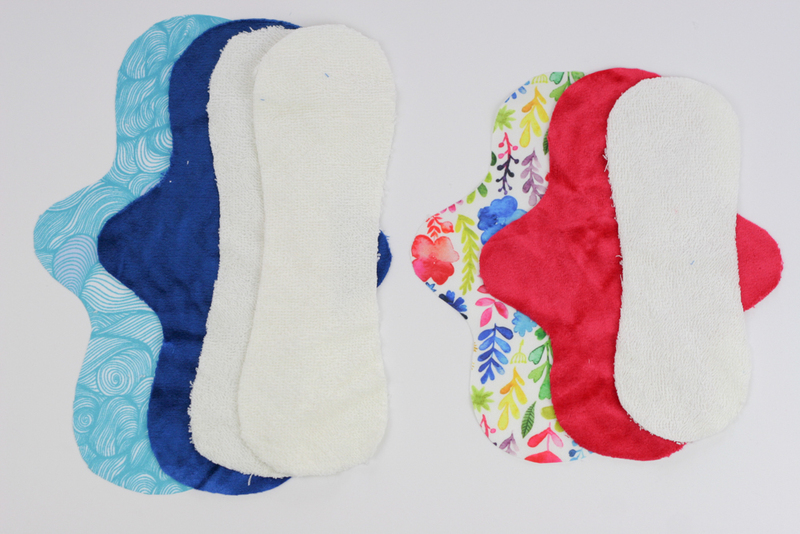 Cloth pads are slightly thicker than store bought pads, since they do not have that gel-like substance but are made with a core of absorbent fabric. I’ve always hated the diaper-like feeling those plastic ones gave me however, and that bit of extra padding is easily negated by how great the fabric feels against your skin. 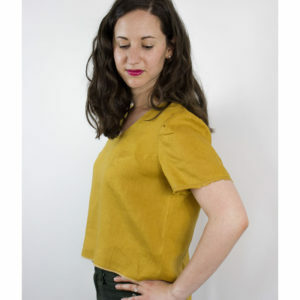 The ones I make have a bamboo velours top layer – it can’t get more luxurious! So in short, they are reusable so do not add to the landfill, they save you money because you don’t have to keep buying pads, and they feel great against your skin. An acknowledged fact in the cloth-pads community is that once you start taking an interest in your period, you will discover all sorts of things you didn’t know about your body. The general stance of ‘menstrual blood is gross and I should be ashamed of it’ changes into a feeling of empowerment and body knowledge. There are so many beliefs about women who have their period in cultures all around the world, and most of them are negative. Menstruating women are seen as unclean, they should not touch certain foods, and are sometimes even encouraged to remove themselves temporarily from the community. These ideas are also ingrained in Western culture: even though we do not literally exclude menstruating women, they are often portrayed as ‘temporarily crazy’, and their menstrual blood as unsanitary. Well – it simply is not. It is not germ-ridden, it is not dangerous. It is just blood and tissue. At the most, it is messy and inconvenient. ‘Female hygiene products’ help you deal with that messiness, and if you remember that it is an essential part of your reproductive system, maybe you can learn to live with that inconvenience too. If you’d like to start battling those feelings of shame and uncleanliness, cloth pads are a good start. 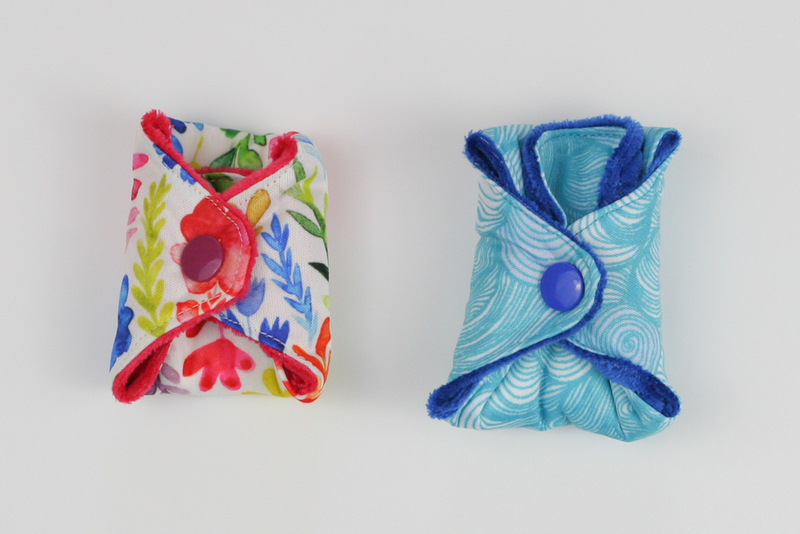 The change can start with that small difference of not immediately throwing away your pad without even looking at it, but carefully folding your pad into a cute package. Then, if you actually take a look at your pad, you can discover how light or heavy your flow is that day, and even which direction you’re bleeding in. Yes, that is a thing! 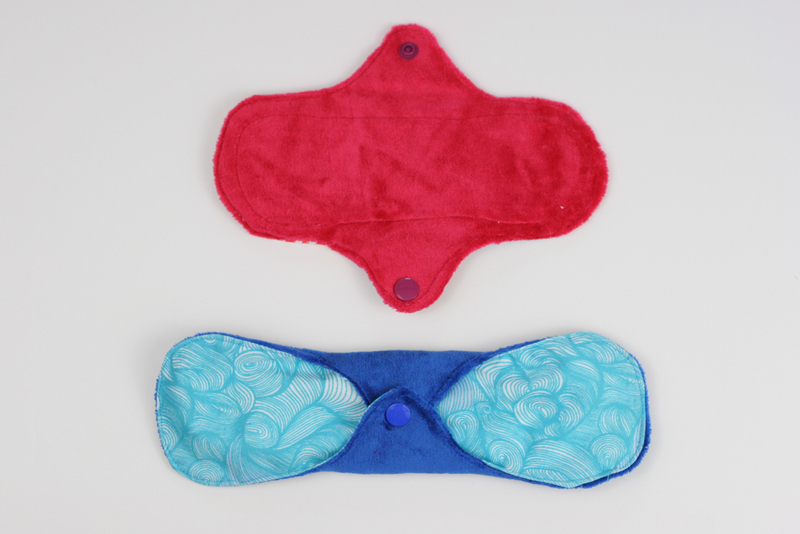 You can notice for example that your menstrual blood is always more concentrated towards the front of the pad. 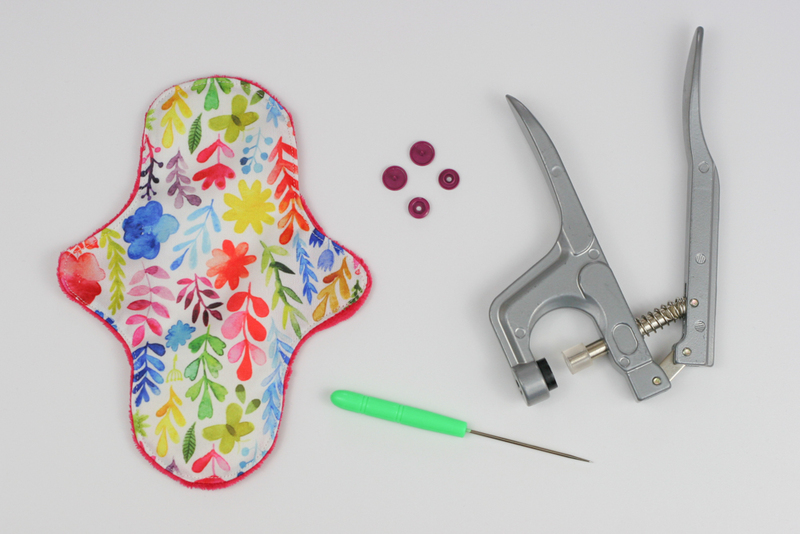 And you can sew a pad that accommodates that – it’s called a front- (or back) bleeder and will have a larger front (or back) part. This in turn makes you more sure of staying leak-free. The act of washing the pads with your laundry will again make you more comfortable handling your used pads. And so it goes on, until it’s just part of you that bears no specific feelings or attitude and certainly not something to be ashamed of. If you like the sound of this and want to try out cloth pads, you can start by buying or making a few. Enough for 24 hours I’d say, so you can really get a feel of how they work. We even have a pattern in our shop! There are also many shops on Etsy that sell both ready made pads and patterns. It’s a whole world you didn’t know about! And they don’t even have to be a standard pad-shape, they actually come in many different fun shapes. A cloth pad consists of three types of fabric. The bottom layer should be waterproof for pads that will be used during your period. The best fabric for this is PUL, or polyurethane laminate. It’s a thin film of plastic (polyurethane) which is laminated (bonded) to the fabric. It can be bonded to cotton fabric (cotton PUL) or polyester (polyester PUL). Modern PUL is supposed to be waterproof but breathable, so it will still allow your skin to breathe. It’s the same material cloth diapers are made of. If you’re making liners for throughout your cycle, you can use a medium weight woven like quilting cotton instead of PUL. The absorbent layer(s) can be made of anything that absorbs moisture, so toweling, or flannel scraps, old sweaters made from natural fibres. Shown above are bamboo toweling and Zorb. Zorb was created by Wazoodle to soak up 20 times faster than other material and absorb 10 times its’ weight in under 2 seconds. 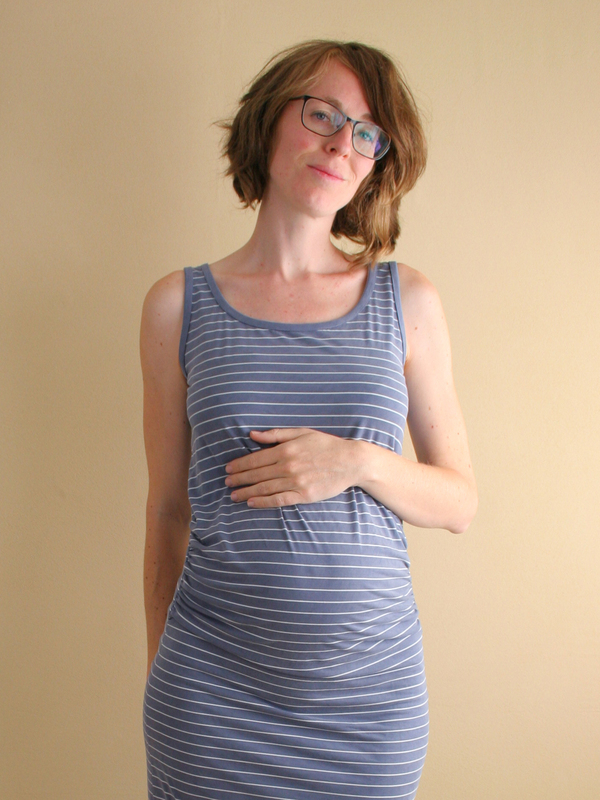 Perfect for days of heavy flow or postpartum pads. Zorb is kind of pricey and not easy to get in Europe, so I use bamboo or cotton toweling in multiple layers. One layer for liners, two or three for period pads. The top layer goes against your skin, so should be made of a fabric that is soft and moisture absorbing. 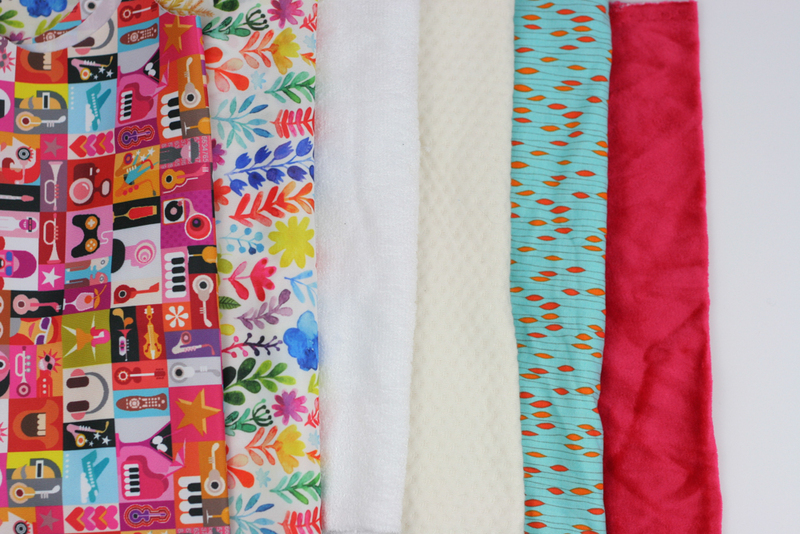 I’ve used bamboo velours in these samples, but I’ve used flannel and regular cotton too. I’ve tried soft synthetic fabrics such as minky too, but I find that natural fibres are the most comfortable. They are also the best choice if you are prone to yeast infections. For fabric sources, try Diaper Sewing Supplies, Wazoodle Fabrics, Natures’ Fabrics, or EU shop Sewforkids for PUL and absorbent fabrics. Other materials that you need are snaps, either plastic (also known as KAM snaps) or metal ones. Plastic is lighter, cheaper and easier to set in than metal, but they work equally well. After use, you can fold your pad and snap it shut. This is especially handy when you’re out and about. A little wet bag made from PUL is practical to store them in. For light days or liners, you can just throw them in the laundry. For heavy days, pre-rinse them with cold water. Even though blood stains will usually come out in the wash, menstrual blood can have a slight bleaching effect. Pre-rinsing prevents this and permanent blood staining. You can use your regular detergent, but be sure that you get all the soap residue off, as this can irritate your skin. Wash on warm or hot (40°C). Of course you can also wash them by hand if you prefer. Hang them to dry in the sun to kill off any bacteria, or just throw them in the dryer. Basically, just treat them the same as your regular cotton underwear. That’s about it! I hope you’ll give them a try, you can find the pattern in our shop. It comes in 5 sizes, so you can make liners with the size XS and heavy flow pads with the size XL. We also have a podcast episode where we talk more about cloth pads. This facebook group is great for seeing what other people make, words of advice and encouragement, and learning more about how periods are unique for every woman. There are a whopping 27.000 + people in there! And if you have any questions or want to share your experience, you can leave a comment below! So glad we’ve inspired you to try them!